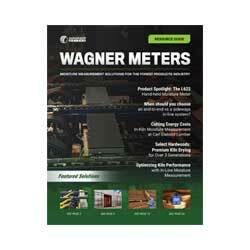 Rogue River, OR (March 2012) – Wagner Meters is pleased to announce their new RHSpec app for iPhone, iPod, and iPad users. Based on the ASTM F2170 testing method, the new RHSpec app will give flooring installers, general contractors and spec providers immediate access to the latest relative humidity (RH%) thresholds for flooring adhesives, coatings, finished floor products or remediation products. Easy to navigate, the RHSpec app lets you drill down to the exact information you need by searching by product type, manufacturer or product name to provide a link that will take you directly to the information you need. No searching through non-specific links or manufacturer sites, the RHSpec app puts the information you need at your fingertips to help you make on-the-spot and informed installation decisions. 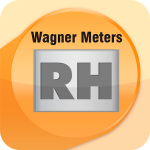 Just as the Rapid RH® from Wagner Meters provides fast, accurate RH testing for concrete, now the RHSpec app provides free, fast, accurate information for installation professionals. To install the RHSpec app for iPhone, iPod, and iPad users, go to http://appshopper.com/business/rh-spec or visit www.rhspec.com for more information.